A great way to thank the special lady in your life is with a weekend getaway. This Mother’s Day weekend, the Omni Mount Washington Resort is an exceptional place to celebrate. Mom won’t have to cook at all this weekend and instead be pampered by chefs and enjoy activities just for her. Take a walk in the mountains, take a canopy tour, play a round of golf, enjoy a massage in the spa, or even a carriage ride through the resort; These are just a few of the many options to ensure that mom has the relaxing weekend she deserves. Indulge in our expansive seasonal buffet on Sunday, May 12th. Mother’s Day brunch is $45 for adults, $20 for children aged 6 to 12 and complimentary for children 5 and under. Price includes tax and gratuity. The buffet will be served from 11:00 am - 2:00 pm. 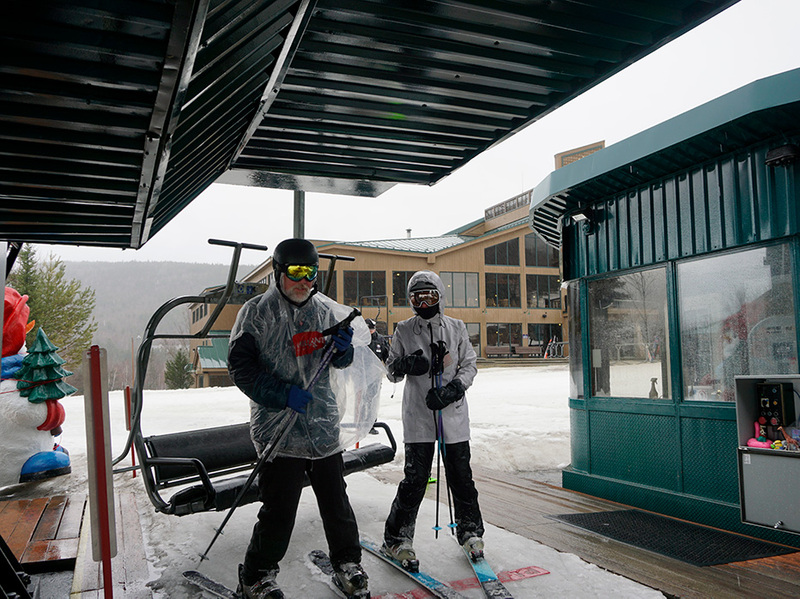 Reservations are required and can be made by calling the Activity Concierge Desk at (603) 278-8989. Treat Mom to a complimentary Canopy Tour on Sunday, May 12th with the purchase of an accompanying full-price Canopy Tour. Based on availability and space is limited - call 603-278-4ZIP (4947) to make your reservation today! Mom’s green fees are free on Sunday, May 12th with accompanying paying player! Special is subject to opening day of Golf Center. Reservations are required; call 603-278-4653 to set up a tee time! We have frosting and tasty toppings to make your cookie pop and taste delicious! Be creative or simple with your design, we encourage it all. There is no doubt that you’ll enjoy this afternoon sweet pick me up! Fee’s apply; $5 per cookie. Create your own one of a kind sugar scrub! Decorate the jar to your liking and mix the ingredients together, it’s that simple! With an assortment of molds, scents, dyes, and special add-ins, you are sure to create a unique bar of soap! It’s a great way to exfoliate your skin and take a little piece of the White Mountains home with you. Treat your mom or a special woman in your life to a fun-filled night of step-by-step painting instruction with a seasoned artist. Each participant is encouraged and guided how to paint a selected themed scene; you will have the opportunity to walk away with a beautiful canvas to cherish the time spent at the Omni Mount Washington Hotel. Fees Apply; $70 per person. Beverage service will be able. Can you get 5 in a row and shout BINGO? Come enjoy a night of laughs and competition! Start you day by awakening your body with our morning Yoga. This class focuses on movements of the spine, hip flexibility, lengthening of the body and setting your personal intention for the day. This is a class for all levels and all ages! Reservations are required and can be made by contacting the Activities Concierge Desk at (603) 278-8989. $25 per person. Walk along the Ammonoosuc River and listen to the soothing sounds of the waterfalls. Follow our activity attendant through the forest and experience the blooming of spring. 12:00pm Crafts & Cards for Mom! Create a beautiful masterpiece for the lovely woman in your life. Mothers love homemade gifts especially from you! Decorate a card or select a craft or other various crafts to show how much you appreciate her. Lounge around and relax as you and your family watch a movie you will all enjoy! Indulge in this springtime sweet treat. Add assorted toppings and sauces to make it truly tasty! $5 per dessert. Enjoy a taste of Casamigos Tequila to start your evening off right and watch a demonstration on how to make the “perfect” spring margarita that everyone will love. Only while supplies last. Let's start Family Feud! Play this fast-paced survey game based on the hit game show! Survey says you and your family will have a BLAST! Its dessert time here at the Omni Mount Washington Hotel and what better treat to indulge in than an ooey-gooey s’more! Join the fun and feel the warmth from the fire! Mimic the beautiful colors and elegance of Spring flowers by making your own tissue paper flower. You could wear it in your hair, pin to your shirt, or just simply enjoy it. It’s not Mothers Day without stunning flowers! This mid-morning class will help you balance both ying/yang, lunar/solar and also help you channel your feminine/masculine energy. This class will begin with a warm up, and includes assists/adjusts (if desired), mat stretching, stand-up exercising, peak poses, sun and moon salutations and ends with a complete guided relaxation. All levels are welcome. Reservations are required and can be made by contacting the Activities Concierge desk at (603) 278-8989. $25 per person. Indulge in our expansive seasonal brunch on Sunday, May 12th. Mother’s Day brunch is $45 for adults, $20 for children aged 6 to 12 and complimentary for children 5 and under. Price does include tax and gratuity. Reservations are required and can be made by calling the Activities Concierge Desk at (603) 278-8989. Crafts & Cards for Mom! Lounge around and relax as you and your family watch a movie everyone will enjoy! Get cozy around the warmth of the campfire. Toast up some marshmallows for an afternoon treat.